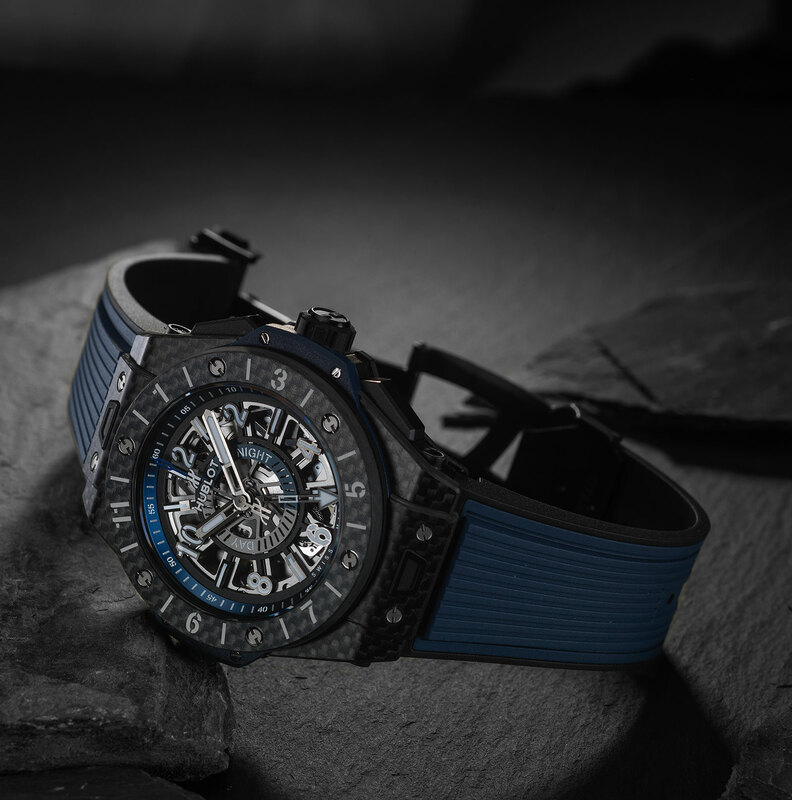 The Hublot Big Bang Unico GMT is a straightforward travel watch with no bells and whistles, despite the elaborately mechanical looking aesthetic that’s typical of the brand. Two time zones are displayed legibly: local time is indicated by the main hands, while an arrow-tipped hand points to home time. And a day and night indicator in the centre of the dial works in conjunction with the home time. Two pushers in the case are used to set local time, the button at two o’clock advances the local time hour hand by an hour, while that at four o’clock moves it back by the same. The Big Bang Unico GMT is available in either titanium or carbon fibre reinforced polymer, both being 45mm in diameter, the standard size for the Big Bang. Inside is the HUB 1251, a variant of the versatile UNICO in-house movement that Hublot uses across its collection, with various complications added, most frequently as a chronograph. 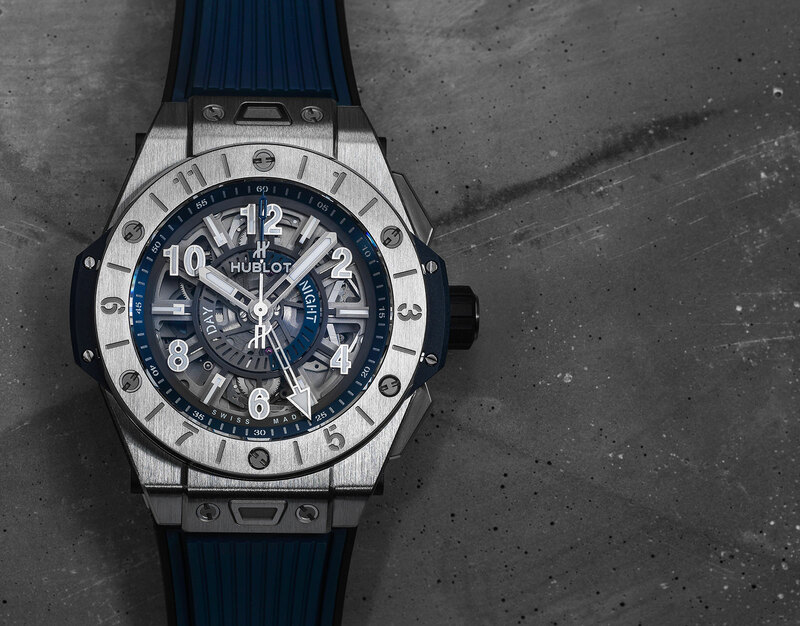 The Big Bang Unico GMT Titanium (ref. 471.NX.7112.RX) costs €19,600 or US$19,900. And the Big Bang Unico GMT Carbon (ref. 471.QX.7127.RX) is priced at €22,700 or US$23,100. 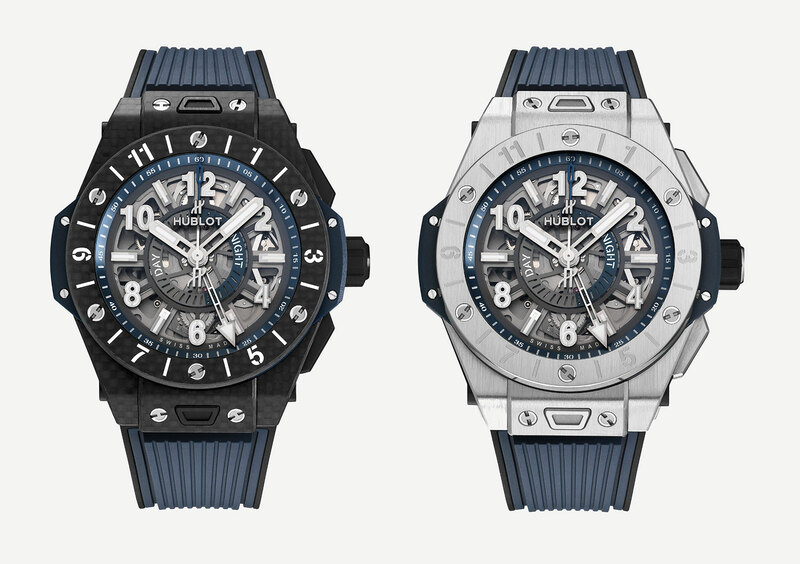 Hublot simplifies the construction of its sapphire crystal watch case.